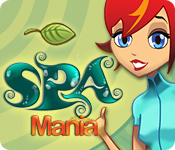 Spa Mania is a time management game developed by Blue Lizard Games. In the gameplay, player plays Jade, who is an animal rights activist petitioning the cosmetics industry. After being challenged by Madame Dubois, a beauty industry empress, Jade dreams of starting her own earth friendly spa. Player has to play the role of Jade, who must first learn the ropes and deliver 5-star service in San Francisco. Use your Time Management skills to please guests and patrons with massages, facials, mud masks, and more. Use profits for things like ginseng tea and other upgrades. Spa Mania normally costs $19.99. But now everyone can grab a copy of full version Spa Mania for unlimited and unrestricted play from Big Fish Games, without charge or payment. To get your free license of Spa Mania, just go to Spa Mania (Windows) (aff) or Spa Mania (Mac) (aff) homepage, and click on “Buy Now” button. Create a Big Fish Games account if you haven’t. Then, enter and apply the following coupon code when reviewing shopping cart for checkout. Click on “No” when prompted to get “2 games for the price of 1! Save BIG with Big Fish Game Club”. And also uncheck “Yes! Send me a back-up CD”. A discount equals to purchase price will be added, effectively make the purchase to $0.00 (free). Complete the check out process to receive the direct download link to the Spa Mania full version setup installer.